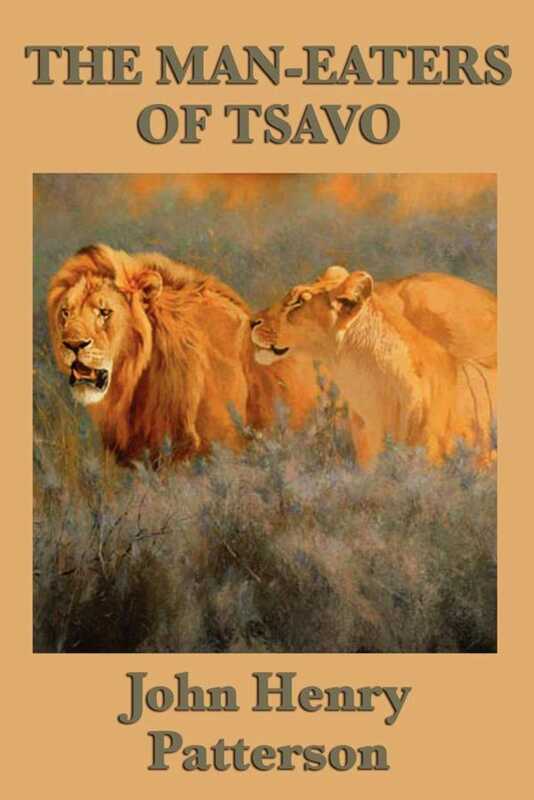 THE MAN-EATERS OF TSAVO is a great book recounting the story of a pair of man-eating predator lions that the author and his team killed, known as the Tsavo Man-eaters. Following the death of the lions, the book tells many stories concerning local wildlife (including other lions), local tribes, the discovery of the man-eaters' cave, and various hunting expeditions. There is also good advice to sports-men visiting Africa. Several publications about and studies of the man-eating lions of Tsavo have been inspired by Patterson's account. The book has been adapted to film three times - a monochrome British film of the 1950's, a 1952 3-D film titled Bwana Devil, and a 1996 color version called The Ghost and the Darkness, where Val Kilmer played the daring engineer who hunts down the lions of Tsavo.